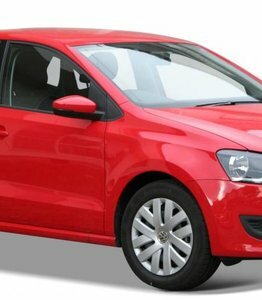 Windscreen replacement for a VW Polo, how much are the costs? The VW Polo is a passenger car that has been released within the compact class of the Volkswagen brand. The VW Polo appeared on the market in the year 1975 and was for a long time the smallest car within the range of the brand. What many people don't know is that the VW Polo was initially introduced as a more advantageous version compared to the earlier Audi 50. Have you also chosen to buy this iconic car from Volkswagen, but have you been confronted with a damaged windscreen while driving? Are you looking for the best possible windscreen replacement solution for your VW Polo? In that case, we will be happy to help you! An important point you should always take into account when replacing the VW Polo windscreen is the fact that such a car window is made of laminated glass. This laminated glass distinguishes itself on several levels from the tempered glass found in the side and rear windows of a car. Unlike these car windows, a windscreen will never explode into countless pieces. Damage to the windscreen of your VW Polo will therefore be expressed in the form of an asterisk or a crack. In the most extreme case, the car window can also be completely shattered. The latter may be the result, for example, of an accident or may be caused by vandalism. 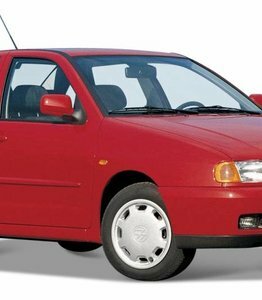 The first VW Polo that appeared on the market was actually a bit copied from the Audi 50. Indeed, it was almost an exact copy, but with the Volkswagen logo and equipment level. This meant that it could be made considerably sharper in the area of pricing. Partly as a result of this low price, the VW Polo left the Audi 50 behind in terms of popularity. When Audi decided after a few years to cease the production of the Audi 50, Volkswagen cheerfully continued to produce its VW Polo. What's more, the Polo still rolls off the tyre today, although it has been redesigned in the meantime. When is the windscreen replacement of your VW Polo necessary? There is a lot of discussion about the circumstances in which a damaged windscreen needs to be replaced. If you have already contacted one or more of our competitors, you may have heard that in their opinion it is always a requirement to have a broken windscreen replaced. However, this is not always the case. A windscreen replacement of a VW Polo in case of damage is in principle only mandatory when the damage in the windscreen can be a problem for the view on the road or when the crack has a branch. In other words, is the damage within the driver's field of view? In this case, it should be repaired as soon as possible to avoid disapproval of the car inspection. Doesn't the single crack in your car's window hinder you as a driver? In that case, having the windscreen in question replaced is by no means an obligation. However, this does not alter the fact that it is always advisable. Not only the popularity of the VW Polo, but also the solid price-quality ratio of the car in the past has resulted in several prizes. In 2010, for example, the VW Polo was declared car of the year. That same year she also received the award for 'World Car of the Year'. It goes without saying that these two titles have given this type of Volkswagen an extra strong boost. It does not have a brand logo, which makes it much more financially attractive. This automotive glass has an excellent quality. It is made in the same factory as an original windscreen and is also part of the same production line. A windscreen replacement of the VW Polo by using a new after market model always provides you with an attractive financial advantage while in terms of quality there is no need to surrender. Don't you see it as a good idea to replace the windscreen of your VW Polo yourself? In that case, you can of course still choose to call upon the services of one of the experts who can realize this for you. In this respect, we have chosen to work with certified partners. These true craftsmen have an excellent experience and expertise so they can take care of the replacement of your damaged VW Polo windscreen in an extremely efficient and cost effective way. In other words, do you want to experience the best balance between a competitive price for a new windscreen of a VW Polo and an excellent quality? Then you are at the right place with us for that!